This book is meant to be an organized curriculum that takes a student beyond the foundational philosophy, anatomy, technical aspects, and teaching methodology developed from many advanced yoga teacher training workshops. The basics of yoga teaching with the standards of Yoga Alliance are not covered in this text. It is designed as a manual intended to meet the criteria for 300 hours of knowledge and practice above and beyond what is taught in basic yoga teacher training. A deep desire and enthusiasm for the teaching is perhaps a more important criterion for the aspiration to dive deeper. To be proficient in teaching and practicing, it takes thousands of hours and perhaps decades of committed work. 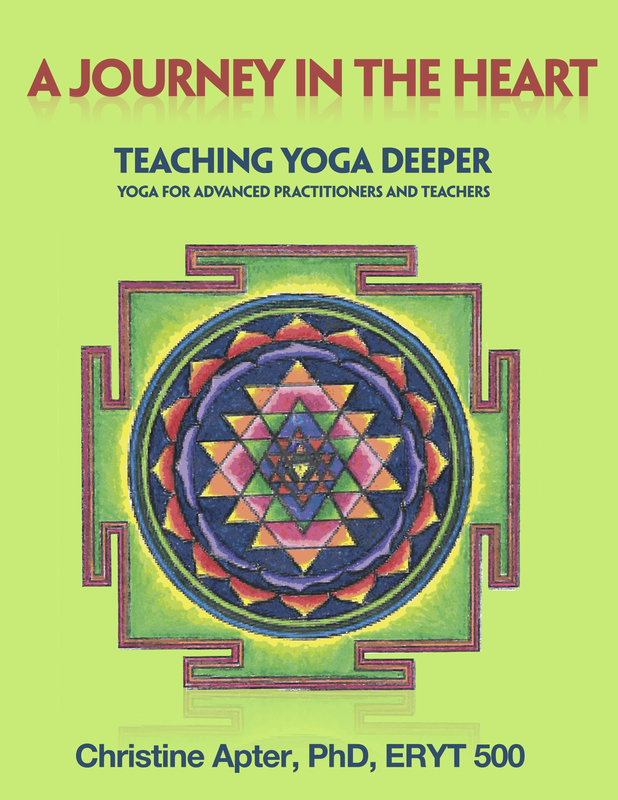 The art and science of yoga teaching and practice come together with the flexible format surrounding factual structure presented in this book. Rather than an authoritative tool, this manual is fashioned to be a framework for the creative work it takes to teach yoga and practice deeper. The reader is encouraged to build upon the information and inspiration and to be creative and innovative with the material. Christine Apter, PhD, ERYT 500, holds a Master’s degree in biology and a Doctorate in Natural Health. As a Medical Technologist, she developed a deep interest in health and science. Yoga has been part of her life since 1968 and over the years she has studied in many different styles. Deeply indebted to all her teachers, she has found the most comprehensive knowledge in the Anusara style. Christine’s current positions include Adjunct Professor of Microbiology at Broward College, Coconut Creek, Florida, and a yoga instructor at Florida Atlantic University, Boca Raton, Florida. She also serves as a staff member of Yoga Teacher Training at the Yoga Center in Deerfield Beach, Florida, and heads the advanced Yoga Teacher Training. Additionally, Christine’s love of nature and art compel her to create as a sculptor in stone and watercolor. Some of her artistic expression can be found in the pages of this book. Her philosophy is that our purpose on this earth is to realize our true Divine nature.